Agency is a corporate web solution for individual's or business agencies. This multifunctional retina ready responsive template provides several layout options to take care of any possible screen resolution. Be sure it will fit any viewing device. 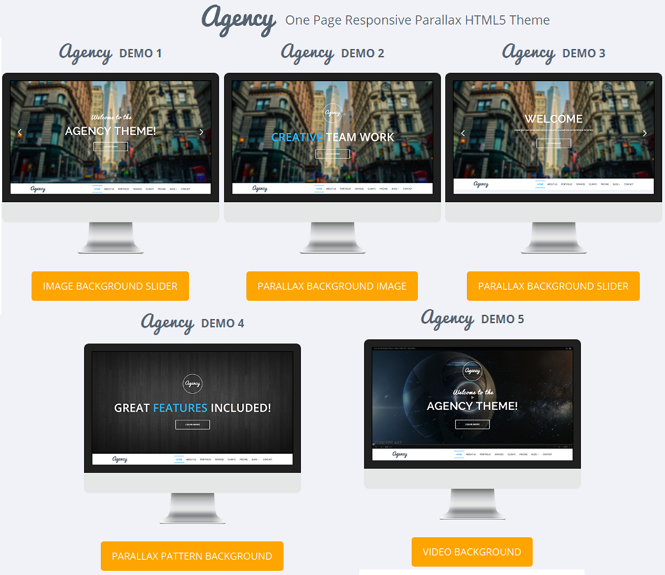 Item Reviewed: Agency Responsive One Page Parallax Template 9 out of 10 based on 10 ratings. 9 user reviews.